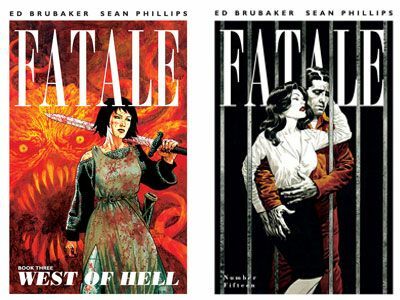 The curse of the femme fatale has taken readers of Ed Brubaker and Sean Phillips’ horror noir series FATALE from Medieval France to present day, with stops in the Wild West, post-World War II San Francisco, and 1970s Los Angeles. Now, in June, FATALE returns to the present in the pages of FATALE #15, as Nicholas Lash desperately tries to find out the truth behind the mysterious Jo, a beautiful woman who is seemingly immortal. As the fourth arc gets underway, FATALE’s third arc - a series of standalone stories about the history of the curse that makes Jo both irresistible and isolated - will be collected into the trade paperback FATALE VOLUME THREE: WEST OF HELL. 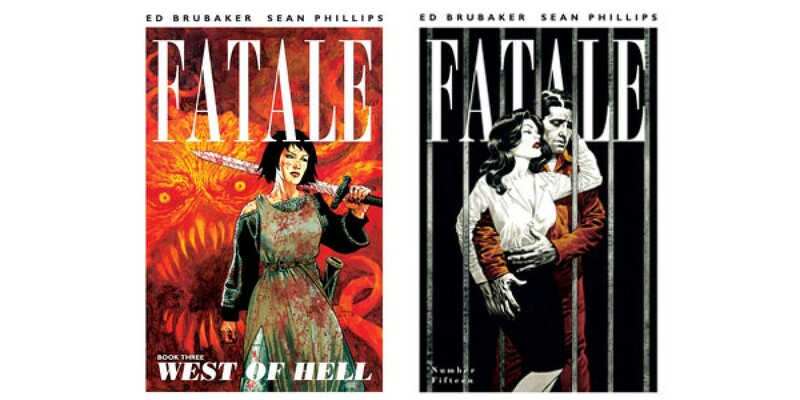 Launched in January 2012 and originally planned as a 12-issue maxiseries, FATALE’s unique mixture of noir and supernatural horror, as well as its compelling heroine Jo, whose history continues to unfold, engaged readers and its creators alike, prompting Brubaker to continually expand the series. FATALE VOLUME THREE (APR130422) and FATALE #15 (APR130421) will both be in stores on JUNE 12th and can be pre-ordered now from the April issue of Previews.